Today on the London streets we have a little piece of Massachusetts on the streets of London. Artist Helen Hunt has brought a replica of Henry David Thoreau's cabin to our attention with her fabulous net from the Dwell book. Hunt has been exhibiting with us since our south coast magnet exhibition on the gates of the pier in St Leonards and Hastings. 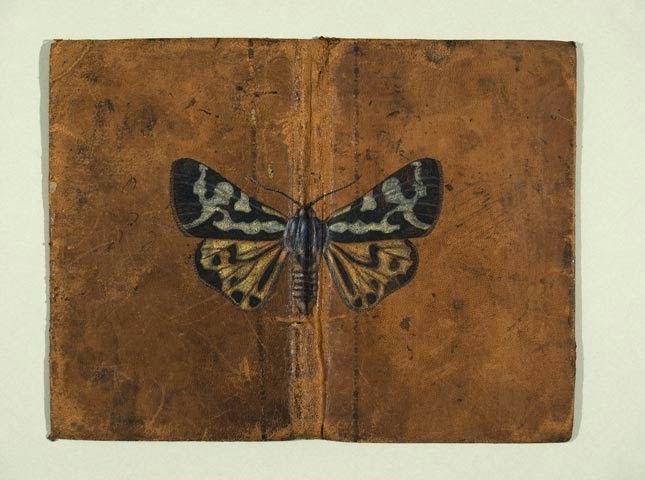 She has a growing reputation on the wider UK scene for her delicate painted moths on the pages and covers of antiquarian books. Hunt's art is inspired by the changes that the seasons bring to the natural world and this is evident in her net for the dwell project. 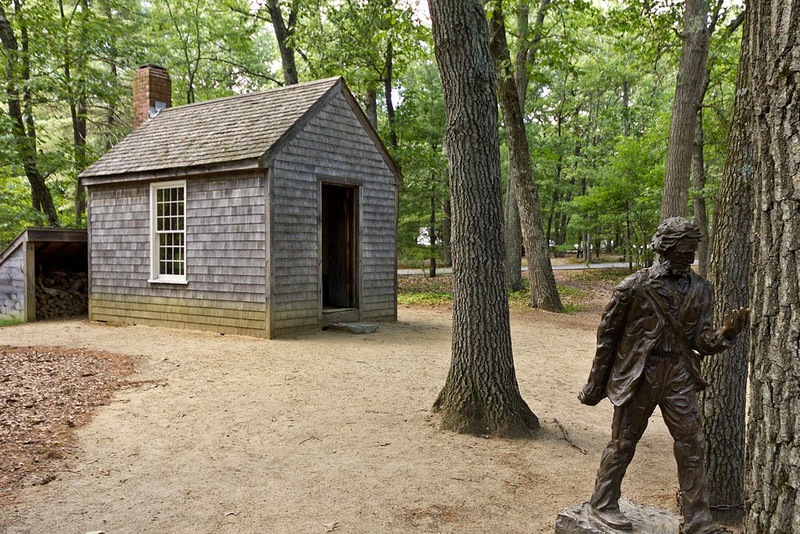 It is inspired by Henry D. Thoreau’s hut at Walden where he lived simply, surrounded by nature and wrote many beautiful pieces on what he observed in this place. His hut was a rudimentary dwelling (noun) itself but the act of observing, pondering and writing on Nature could also be considered to be dwelling(verb). 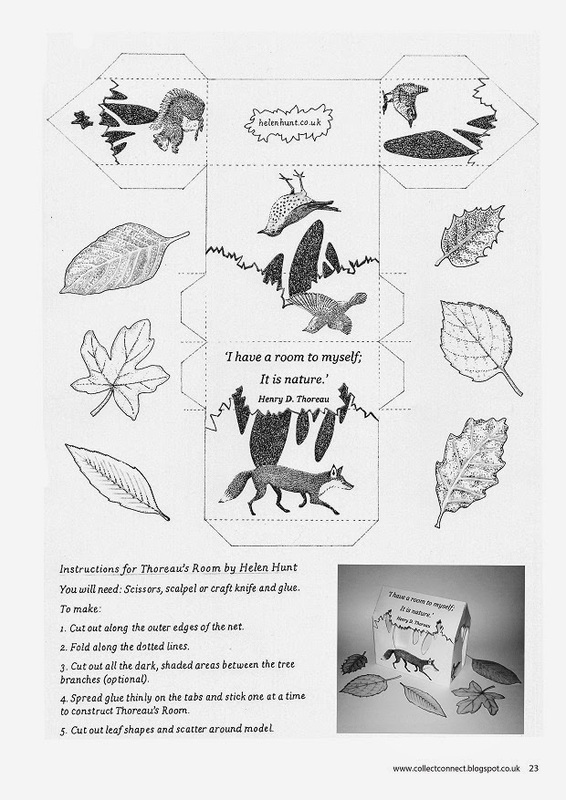 She was keen to combine a quote from Thoreau’s writing done while living at Walden with many visual references to the animals and plantlife that were around him. Helen Hunt's dwelling gives you the sense that Thoreau was completely immersed in his surroundings and that Nature worked its way into interior space as much as he went out in search of it. On the outside of the built net we can see this quote from Thoreau journal (3rd January 1853), "I have a room all to myself; it is nature." Here Helen Hunt presents us with something to dwell over in our minds, Walden is one of the most challenging books for us all in the 21st century because it rocks the very foundation of our consumerism. When I read it in my formative years I was shocked by the fact that you could own but one pair of trousers for all your adult life. I tried and failed with my pantaloon experiment but you'll not with this net which received an Average difficulty rating from the book's author Dean Reddick. "I have enjoyed working in this way and am satisfied with the end result. The real proof of the pudding will be to see whether people are able to follow my instructions and make ‘Thoreau’s Room’ - and most importantly, whether they enjoy doing so!" Well that's a challenge to you, time to get making! 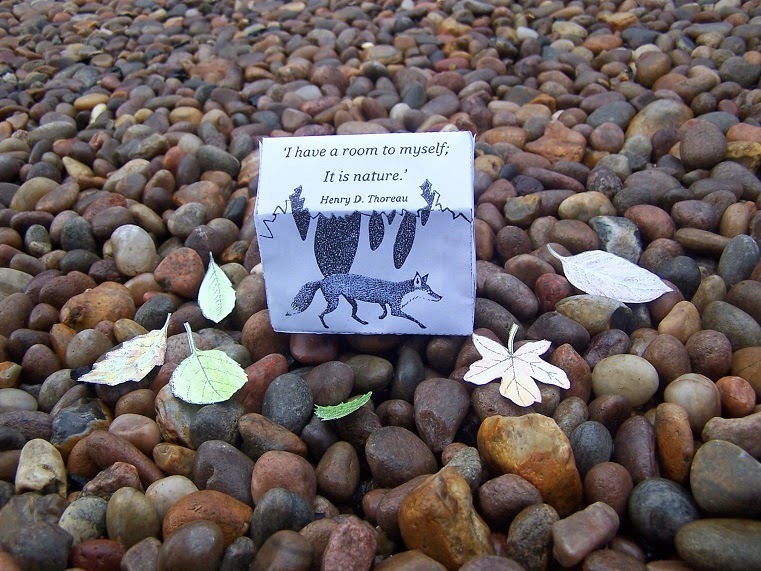 Maybe afterwards you'll take Thoreau's room back into it's natural habitat. 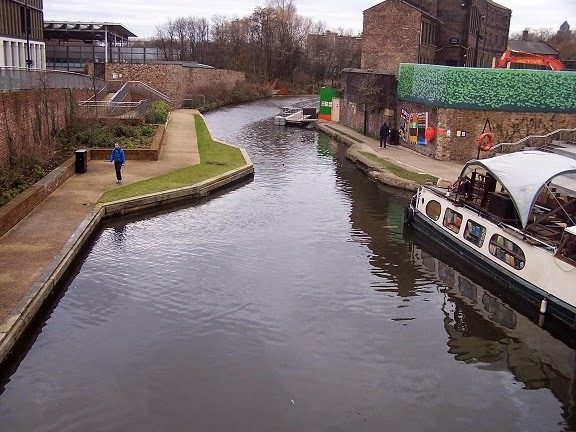 We placed ours beside the climbing wall in Mile End, next to Regent's Canal, London.